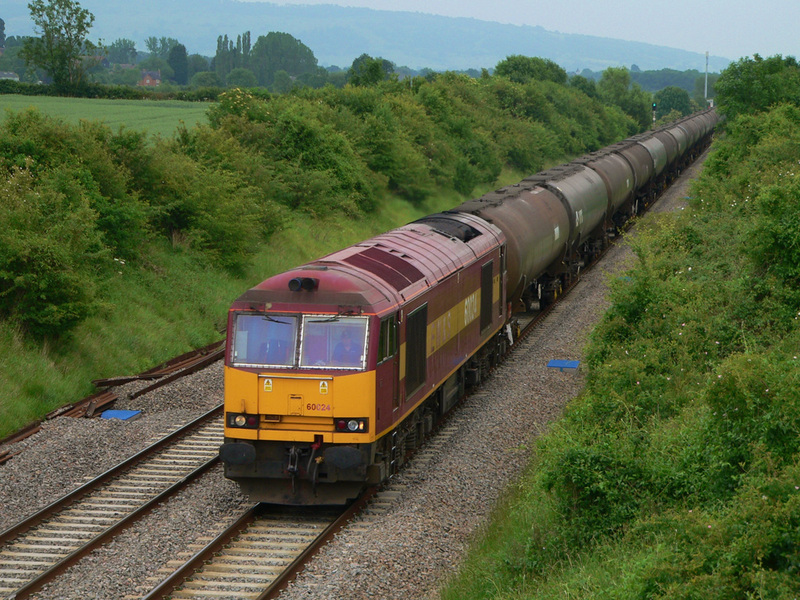 The relentless decline in freight traffic has badly affected the number of opportunities to photograph working freight trains in the county, such that by the start of 2011 it was often possible to spent hours on end at the lineside without seeing a single freight train, with the afternoon being the best time to view freight trains. 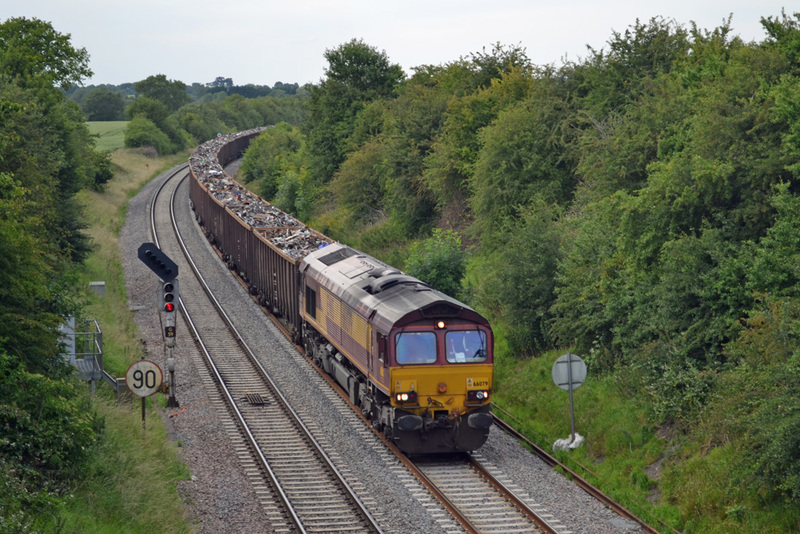 Class 66 diesel locomotive No.66101 passes slowly through Stoke Pound, near Bromsgrove, on Saturday 11th June 2011. It is heading the Saturdays-only No.6M60 Imerys china clay train, which was timetabled to leave Exeter at 02.15, bound for Bescot. 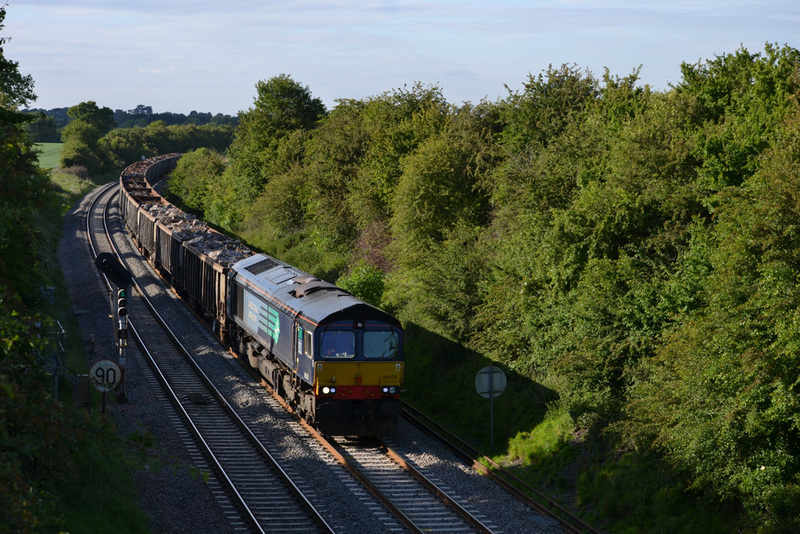 This train being the only scheduled passage of china clay wagons through the county. Photograph taken by Adrian Booth. 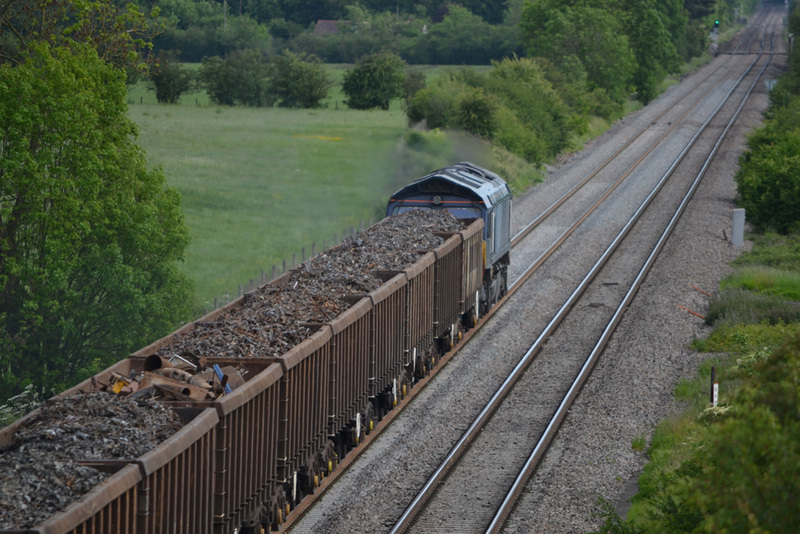 Almost one hour later, and No.66101 slowly grinds up the Lickey Incline at Vigo, with the same china clay train. The train had stopped at the foot of the incline while the banking locomotive was coupled-up, and, after the passage of several northbound passenger trains, it continued its journey to Bescot. Photograph taken by Adrian Booth. No.66101 has passed the crossing at Vigo and heads up the Lickey Incline. The train is banked by one of the Lickey's dedicated locomotives, No.66057, which is fitted with a special slip coupling. 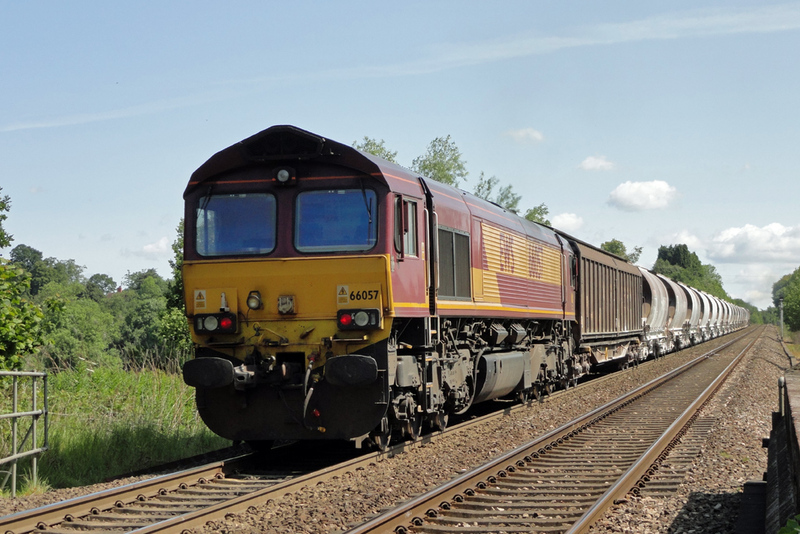 The driver of 66057 would activate the coupler at the top of the incline and then return down-gradient to await the next turn of duty or continue to Saltley for stabling. Photograph taken by Adrian Booth. 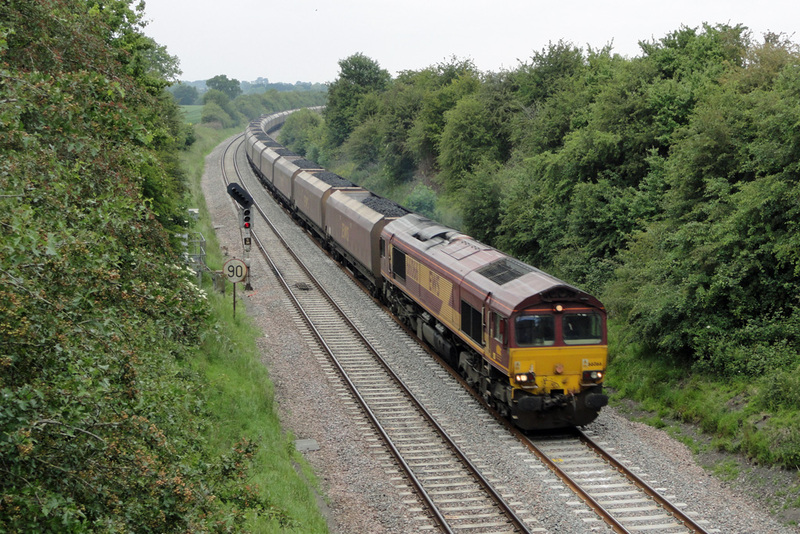 On a dreary and overcast Monday 6th June 2011, class 66 diesel locomotive No. 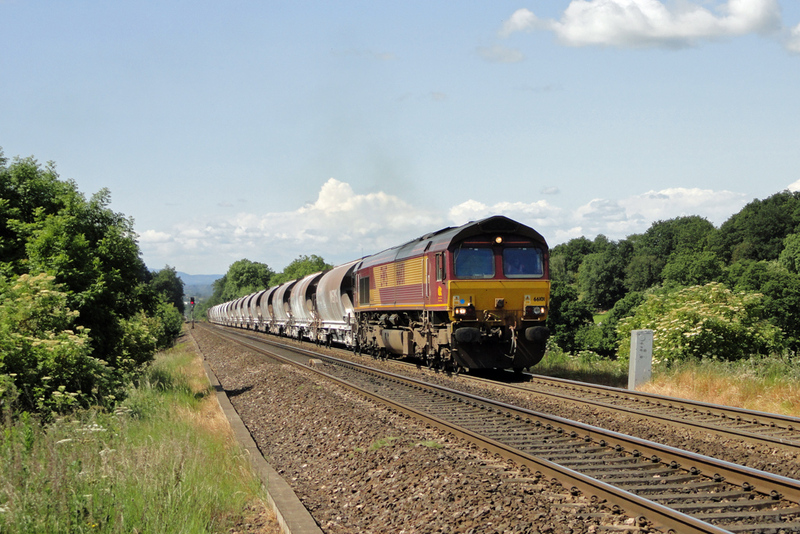 66066 heads through Abbotswood with train No.6V67, the 03.53 Redcar to Margam coke train. Photograph taken by Adrian Booth. 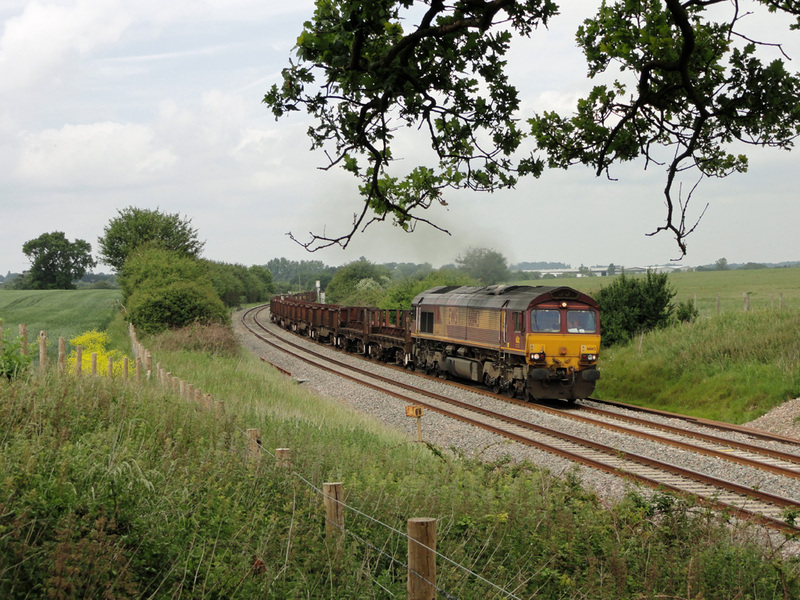 No.66143 heads train No.6V92, the 10.18 from Corby to Margam steel empties, passing through Abbotswood on Monday 6th June 2011. Photograph taken by Adrian Booth. 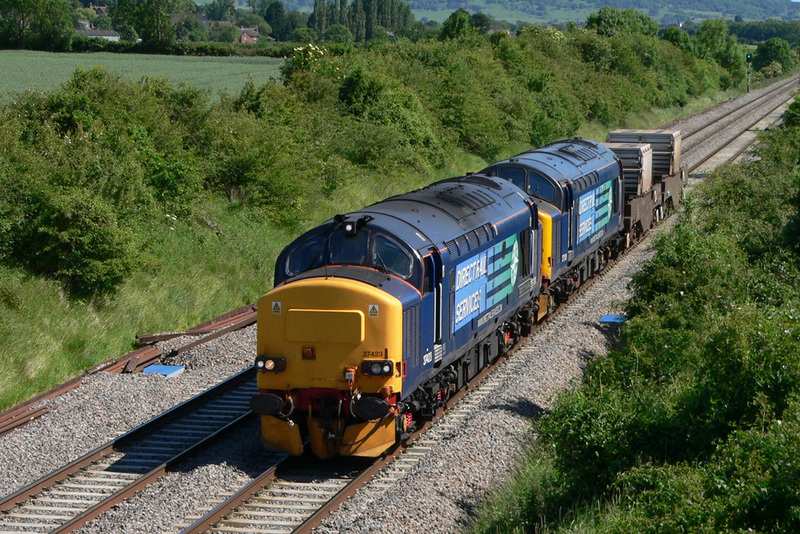 On Friday 3rd June 2011 the 11:21 empty tanks train from Westerleigh to Lindsey (code No.6E41), hauled by class 60 diesel locomotive No.60024, passes Croome exactly two hours into its journey. Photograph taken by Robert Cooke. On a bright and sunny afternoon Robert Cooke was at Croome to photograph DRS-livery class 37 diesel locomotives Nos.37423 and 37510 with a northbound Berkeley to Crewe flasks train. Photograph taken on 3rd June 2011. 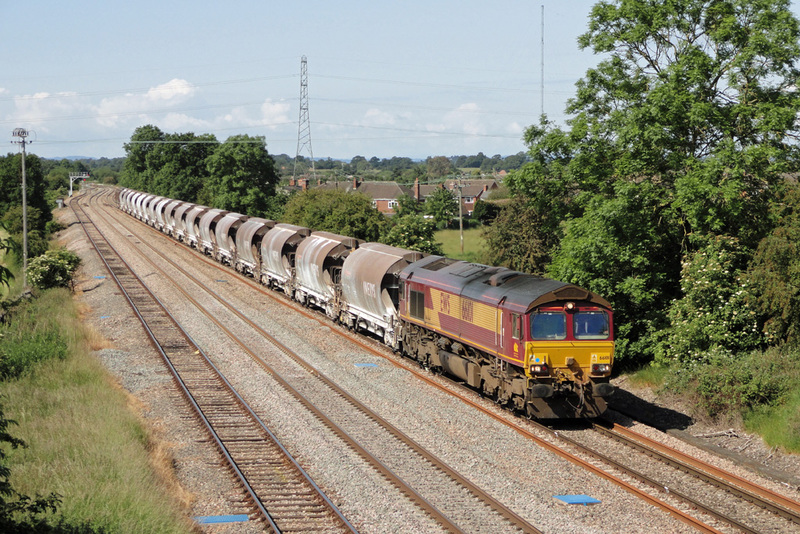 On 27th May 2011 train No.6Z90, 09:20 from Stockton to Cardiff Tidal loaded scrap wagons, was running early as it passed Abbotswood at 18:20 in bright sunshine. This train runs only on Fridays. Photograph taken by Andrew Smith. 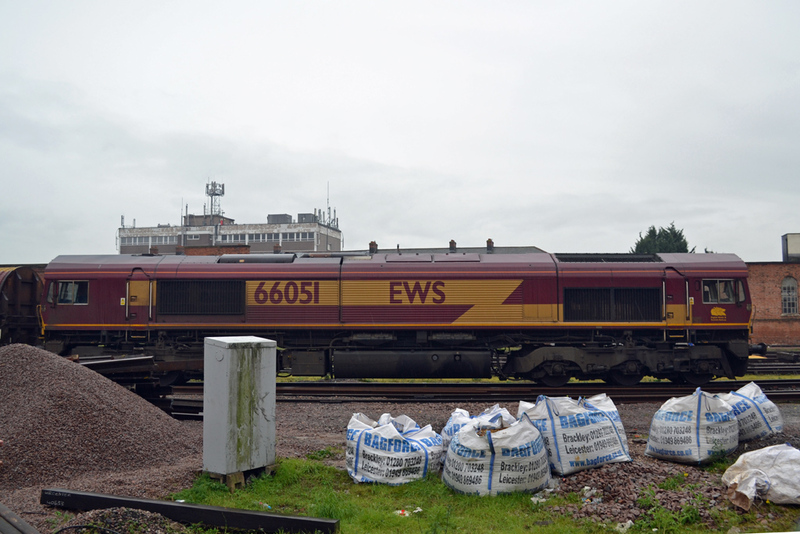 EWS livery class 66 diesel locomotive No.66079 with the Thursdays and Fridays only conditional freight train code No.6Z30, the 15:10 from Handsworth to Cardiff Tidal loaded scrap wagons at Abbotswood on 1st July 2011. Photograph taken by Andrew Smith. This is believed to be the overnight Margam to Round Oak covered vans train which usually passes Worcester in the early morning but on this occasion appears to have developed a fault and the train got no further than Worcester where it was seen at 10:30 in the morning. Photograph taken by Andrew Smith on 19th December 2011.